Amazon India is gearing up to sell airline tickets, Book Hotels and to allow food orders, leveraging the user base to generate more transactions on its platform and become a super app in the manner of Tencent’s We-Chat sis in the past. The Seattle-based E-Commerce giant is in the middle of beta testing flight bookings in collaboration with travel partner Cleartrip, said two people aware of the development. The move signals a shift in strategy from e-commerce to becoming more of an all-in-one app enabling various kinds of transactions. Over time, it will let consumers order food, book cabs and hotel stays, said the persons cited above. Amazon is betting big to become a super app by launching new facilities like online air ticketing and food ordering too in India. While the concept of Super App seems to be followed by many companies like PhonePe, Ola, Paytm and now Amazon, the pioneer of this concept remains the Chinese chatting application We Chat. The e-commerce giant plans to start slow and steady with selling airline tickets and bring about ordering food online for starters as their the bigger aim is to increase the footfall and online transactions on their platform after which they shall introduce other facilities like booking cabs, hotel rooms, and others. As for now, the beta testing of flight bookings is currently in process with the travel portal Cleartip and other incorporation’s will be done with the help of third-party integrations with vertical market leaders. 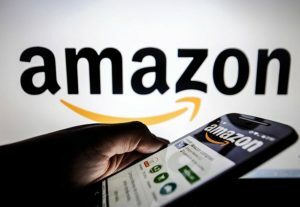 This news surely brings more clarifications over Amazon’s dream plans and vision for future and the reason of acquiring Tapzo in August 2018. With a gross user database of around 150 million customers, the number of customers that use the app goes down to 20-25 million only. How many apps do you have on your mobile phone? Too many on my phone for sure. Super Apps are popular outside of the US (WeChat, Grab, Meituan Dianping etc. ), and maybe someone will cause disruption here. There aren’t many super apps globally–the list includes China’s WeChat and Alipay, Indonesia’s Go Jek and Singapore’s Grab. None from India yet, but with Paytm and PhonePe leveling up their game, the battle to become the country’s first super app has begun. But what does it take to become the one? My insights on way ahead: What do you think? – Buyouts would be lower than 100 million in almost all cases and below 10 million in 95 pc cases.